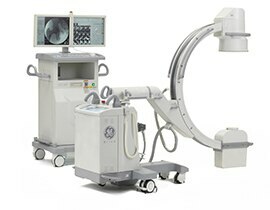 The OEC One all-in-one mobile C-arm offers superb imaging capabilities, made more accessible for a variety of procedures — from pain management to vascular. 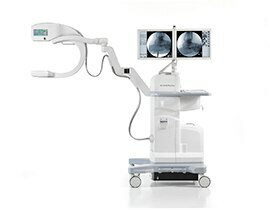 Enjoy image processing advancements in clear, detailed images. 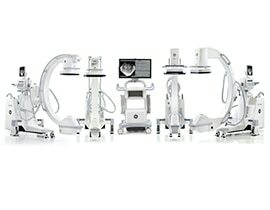 Bring images closer to the surgical field on the OEC One's 27" display - mounted on an articulating arm with five ranges of motion. Make image adjustments to manage imaging needed on the system's 10.1" TechView tablet with an intuitive touchscreen OEC interface, adjacent to the live image mirrored from the system's image display. 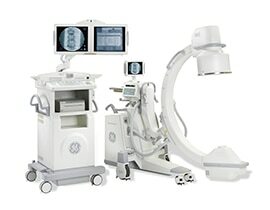 Enjoy extra space and maneuverability provided by OEC One's small footprint and ergonomic design for your OR needs. 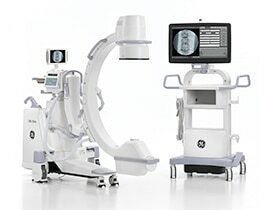 *Availability of select models and configurations varies by country. Please contact your local sales representative.